BitFenix presents its latest addition to its lineup of enthusiast cases – the BitFenix ENSO MESH. The BitFenix ENSO MESH features a large mesh front panel that offers excellent airflow for the interior. Its clean and sleek design is complemented by a 4mm thick clear tempered glass panel to give the best view of the interior. 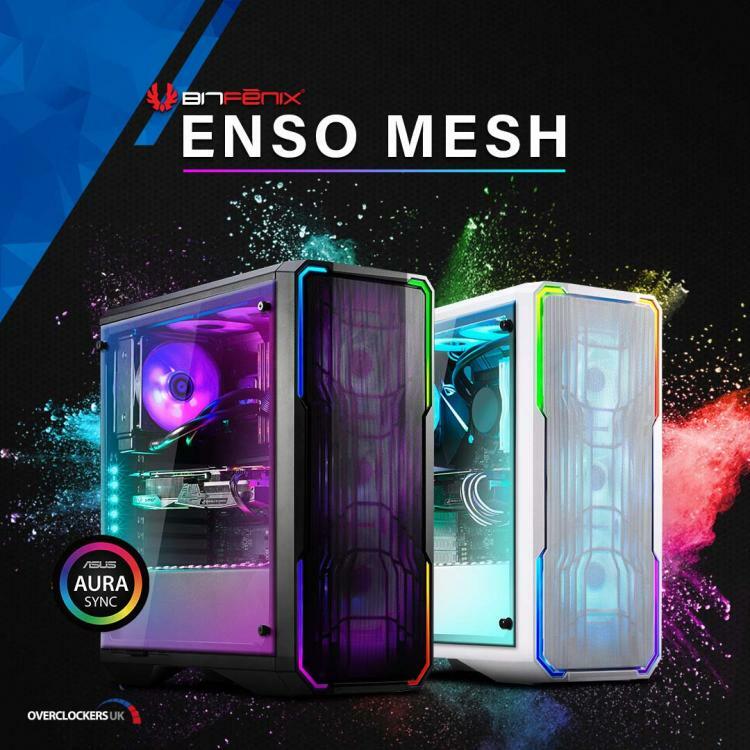 It also comes with the latest in addressable RGB illumination effects that’s certified compatible with ASUS AURA Sync 3-pin addressable RGB motherboards. The BitFenix ENSO MESH is available in black and white colour models with an MSRP of £84.95. The ENSO MESH retains the sleek and clean design of the BitFenix ENSO chassis with the addition of the high-density front mesh panel. 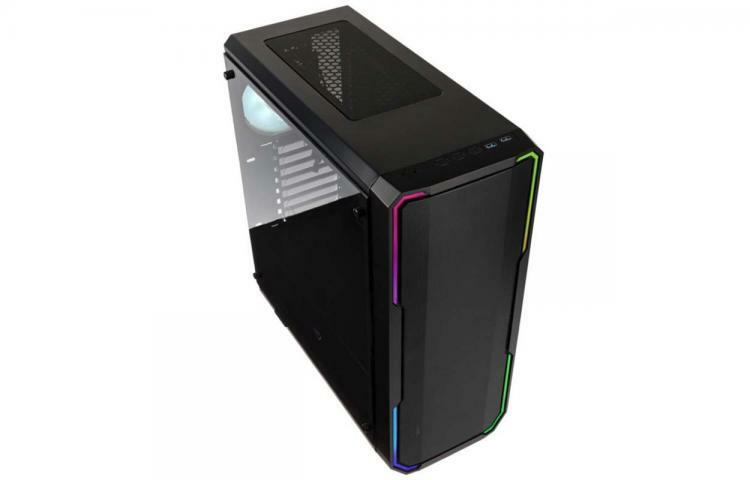 A 4mm clear tempered glass panel highlights addressable RGB illumination inside the chassis. The BitFenix ENSO MESH chassis sports the new BitFenix RGB lighting devices powered by a built-in RGB controller that supports the BitFenix Alchemy 2.0 and BitFenix 3.0 addressable RGB devices. 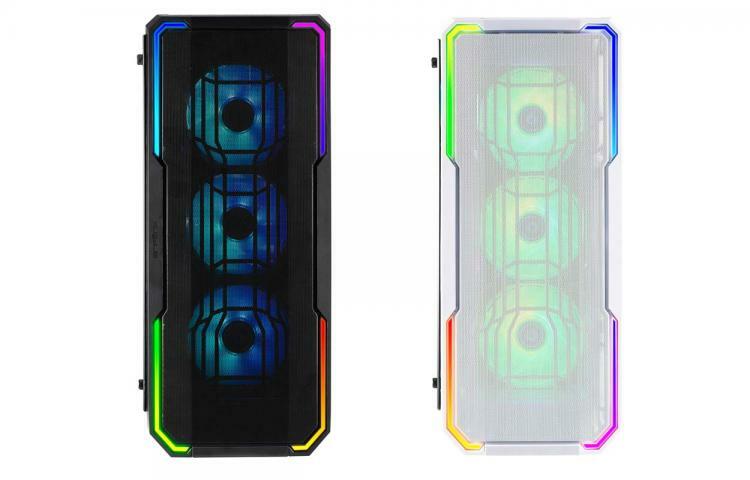 The case’s RGB lighting is also certified compatible with ASUS Aura Sync for synchronized RGB lighting. The ENSO MESH supports up to two 140mm fans or three 120mm fans in front and can support up to a single 280mm or single 360mm radiator for watercooling setups. There are two 120mm fans pre-installed with a 120mm static RGB fan on the rear. The chassis also supports air coolers of up to 160mm in height. The BitFenix ENSO MESH features a power supply shroud that acts as a separate and independent chamber for the PSU and storage drives as well as provide the necessary cover for cables. 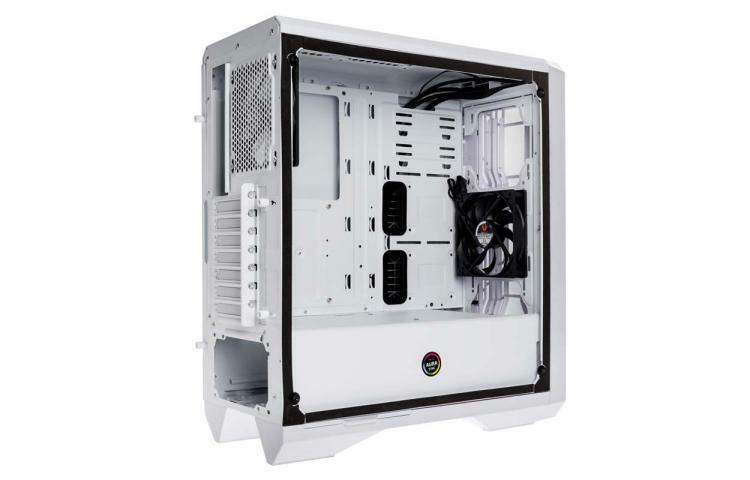 The chassis comes with the BitFenix Sideway removable PSU dust filters that can be easily accessed for easy cleaning. The BitFenix ENSO MESH is now available at OCUK with an MSRP of £84.95 for both the white and black colour models. Learn more about the BitFenix ENSO MESH here.